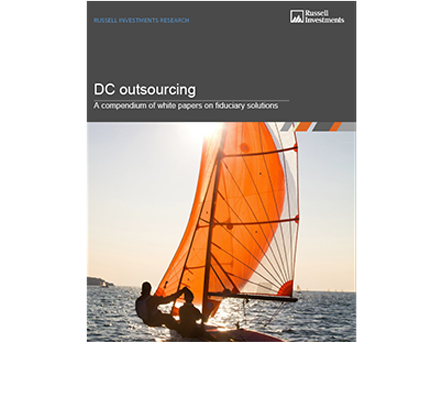 Learn the why, what, and how of outsourcing for your DC plan. As a plan sponsor, you are bound to have questions and concerns. We asked Mike Barry, of Plan Advisory Services Group, to partner with us to assist plan sponsors in thinking through some important questions. Defined contribution (DC) plans have become the primary retirement savings vehicle for many American workers. As a result, plan sponsors concerned with helping improve retirement income outcomes for participants, are being tasked with an increasing array of plan design and oversight duties. As fiduciaries they are expected to have a high level of specialized knowledge, which requires significant time and resources. Fiduciary outsourcing: What liability does the sponsor retain? Frank Russell Company owns the Russell Investments trademarks used in this material. See disclosures for details. Complete the form below or call us to request your copy. Are you are Russell Investments client?